Universal type shelf tag to be taped onto the front top of the shelf. 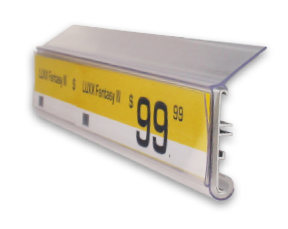 The specially designed Shelf Tag Light illuminates the price tags or logos of your products through a dedicated extruded light guide. 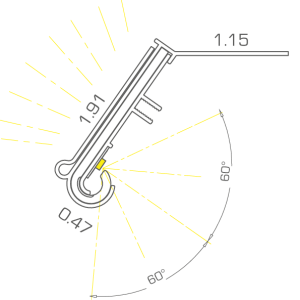 Plus it lights 30° down to a lower shelf compartment, providing an evenly spread light for a shelf up to 24 in (500 mm) high and 24 in (500 mm) deep. Different configurations available upon request.